2015 RV Travel Adventures – A Thrilling Journey East! 2015 was a year of extraordinary adventures for us as we gallivanted around North America in our ninth year of full-time travel. Looking back at our year of RV voyaging, it is astonishing to re-live the wide ranging experiences we had on the road. 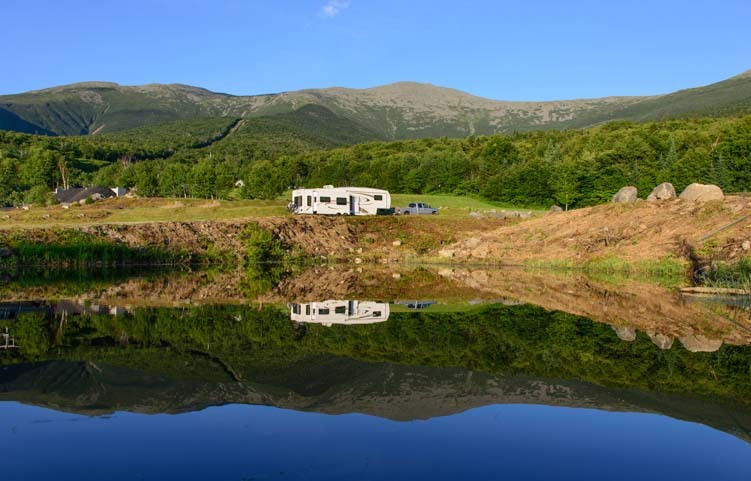 of RV travel to the eastern states in 2015. Gas prices were at an unbelievable low at the start of the year at about $2.79/gallon in Arizona, so we realized this particular year would probably be a great one to travel a long distance. 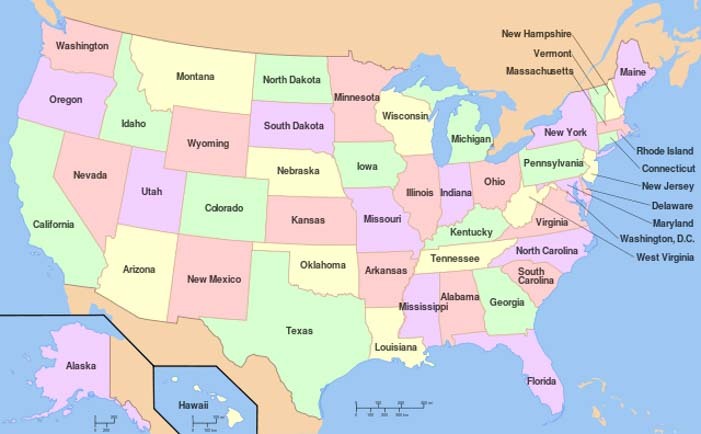 After pondering Alaska versus Nova Scotia as destinations from our starting point in Arizona, we decided to head to the northeast. What a boon it was to watch fuel prices decrease all year long, hitting $2.09 a gallon when we returned to Arizona at the end of the year. Our big travel loop took us from Arizona to New Mexico, Texas and Florida during the winter and early spring followed by Georgia, North Carolina and Virginia in the later spring. Summer saw us in Nova Scotia, Maine, New Hampshire and Upstate New York, and the fall months took us from Kentucky through Oklahoma and back through Texas and New Mexico to Arizona for Christmas. 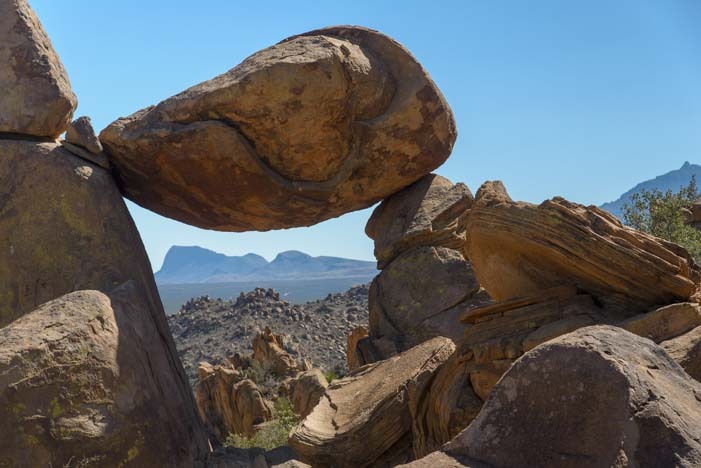 Quartzsite, Arizona – RV madness in the desert! 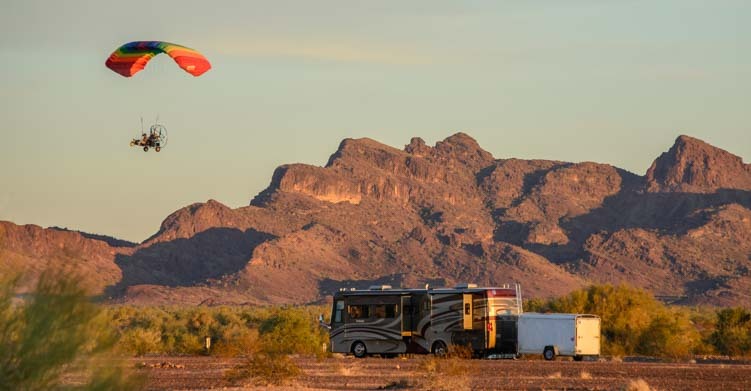 Our year began in Quartzsite, Arizona, where RV snowbirds gather every year in the desert. From there we took a quick trip to Lake Havasu for the annual celebration of all things hippie and groovy at the VW Microbus rally. In January, the death of a cherished mentor of mine, Toller Cranston, made me realize with more poignancy than ever before that life is precious and we must savor every moment we have here on earth. 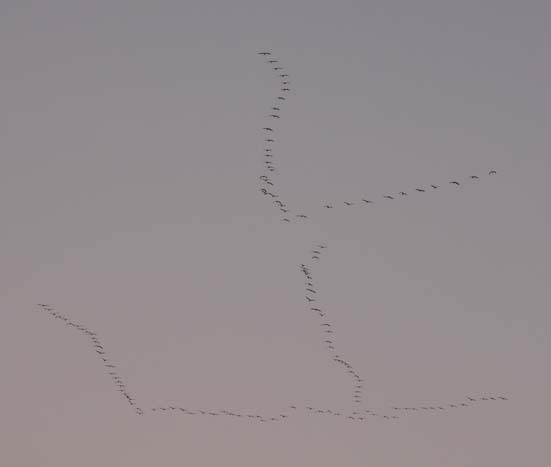 After enjoying the Quartzsite RV show and stopping over in unsung Florence, Arizona, we watched with awe as the sandhill cranes took wing in Willcox, Arizona. Then we paid a brief visit to the eastern side of the Chiricahua mountains. At White Sands National Monument in New Mexico we romped in the soft, blindingly white sand, and in Roswell we had endless close encounters with aliens. 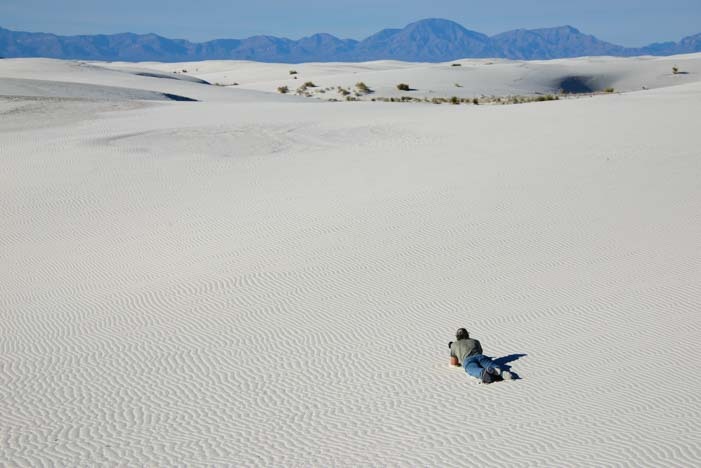 White Sands National Monument in New Mexico – pure white dunes a thousand miles from the beach! 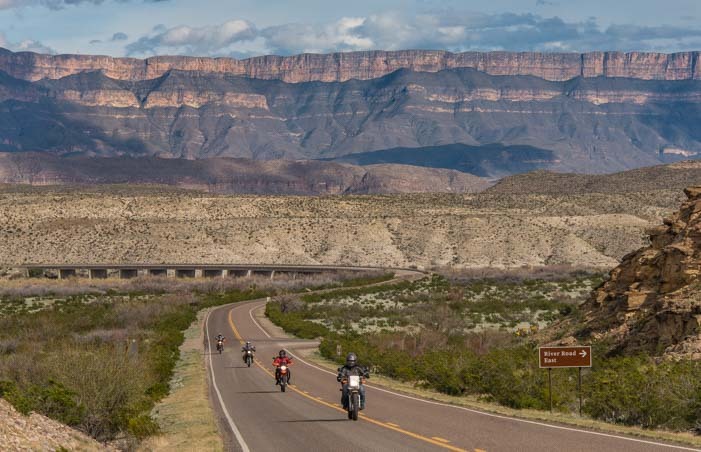 But our experiences became truly out of this world when we arrived in Big Bend National Park where we found mountains and rivers and deserts to play in. A bizarre ghost town and a daytrip across the river (and border) to Mexico capped off a wonderful stay in the area. 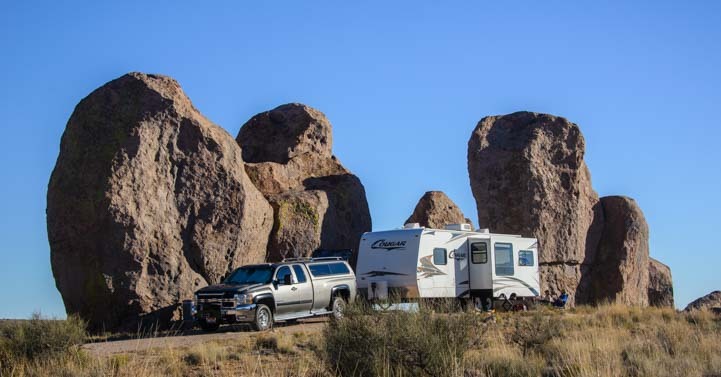 And what a surprise it was to find that Big Bend National Park encourages boondocking on their land! 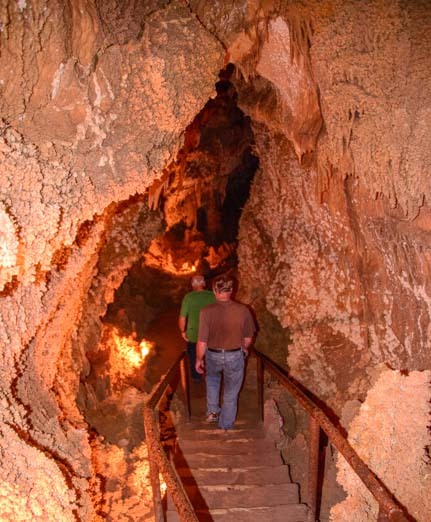 The Caverns of Sonora, a few hundred miles east of Big Bend on I-10, gave us a chance to explore a truly gorgeous underground world in a massive cave, but a scary ice storm on the highway as we made our way from there to Fort Worth jolted us back to reality. 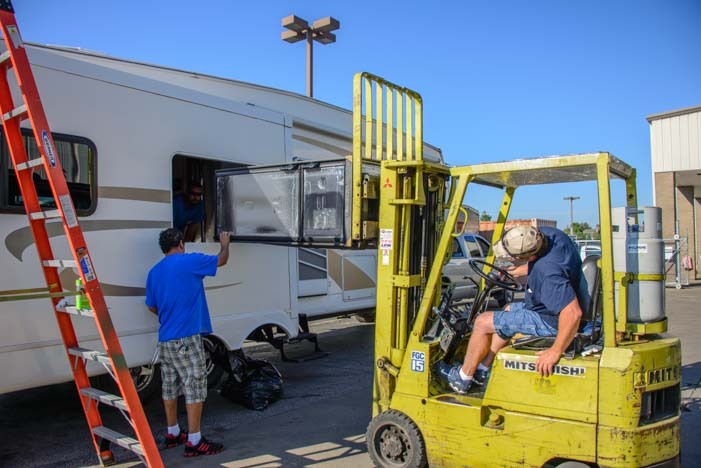 2015 turned out to be a year of major repairs and upgrades on our trailer, and we had no idea of what was to come when we did our first big trailer upgrade in Fort Worth, Texas. 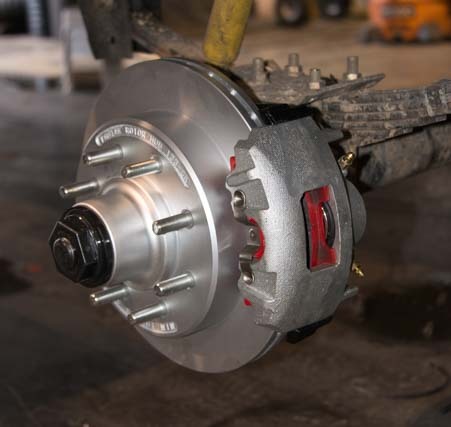 We replaced our trailer’s electric brakes with electric over hydraulic disc brakes. This turned out to be a perfectly timed upgrade, as the traffic, hills and chaotic driving in the northeast tested our trailer’s braking system again and again for the rest of the season. 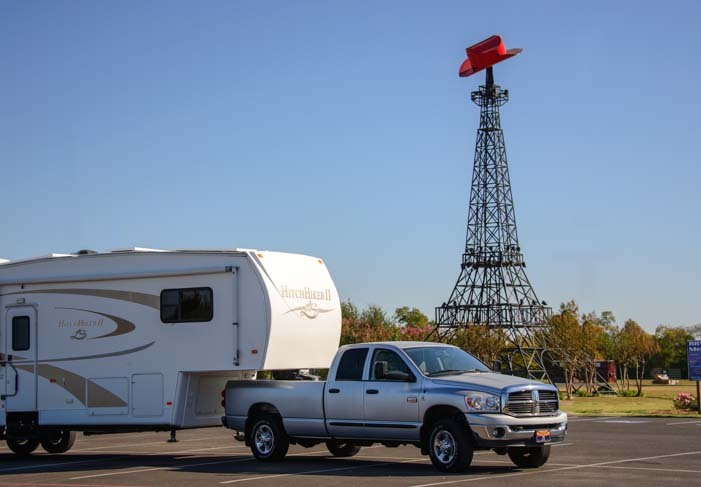 In Texas, we made a quick stop at the cool Casita Travel Trailer plant before spending a few days at Rainbow’s End RV Park just north of Houston where we learned about many incredible facets of the Escapees RV Club. 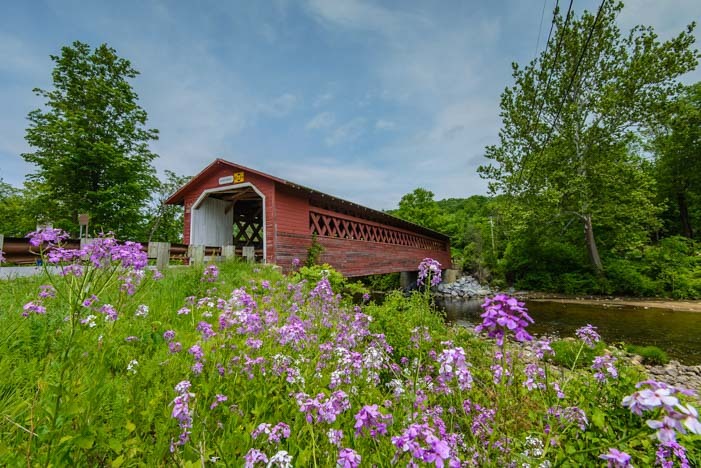 From there we dashed east along the bottom of the country, enjoying several interstate rest areas that rivaled state parks along the way. 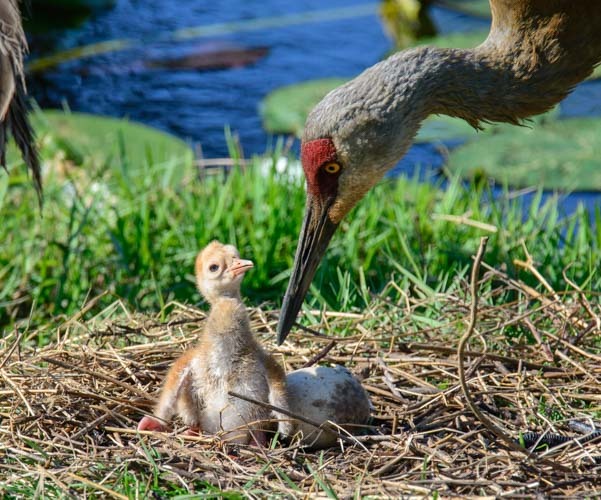 Ahhh…Florida! The beaches in Sarasota are stunning! 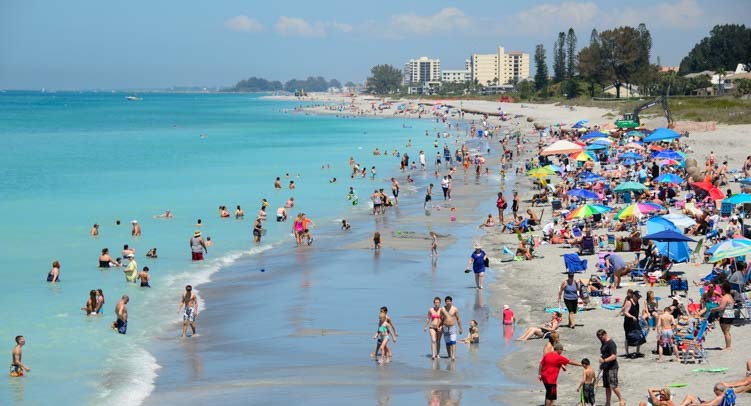 Florida’s Emerald Coast brought us pure white sand beaches and turquoise water, but it was the beaches of Sarasota that really made us feel like we’d arrived in the tropics. 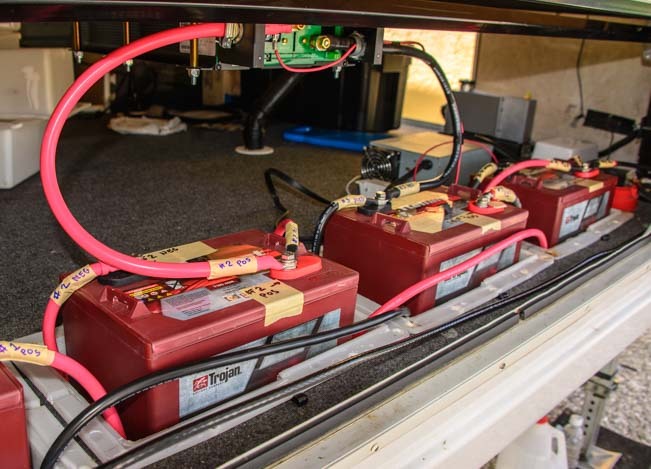 We stayed in Sarasota for a month to overhaul the electrical system on our rig and embark on the second major trailer upgrade for the year: new batteries, a new converter, new inverter and new wiring for all of it. What a fabulous improvement these upgrades have given to our solar powered life. New batteries, new inverter and new converter – yay! 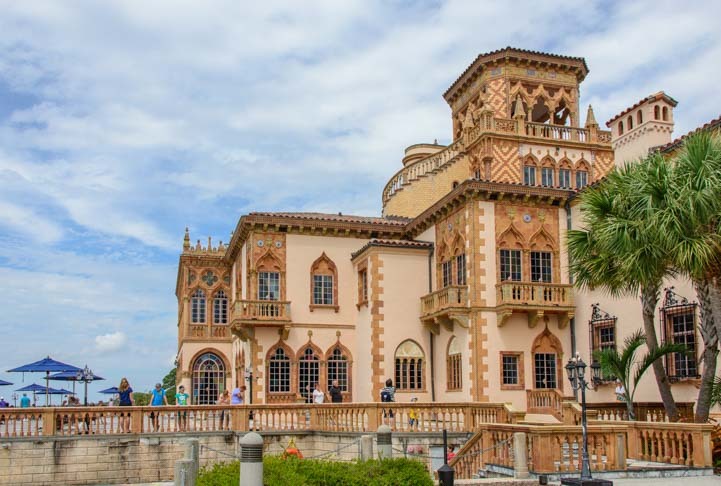 One of our more unusual discoveries this year was The Ringling in Sarasota, Florida, a one-of-a-kind estate where we found fabulous art created by the European masters from the Middle Ages to the 19th century that had been collected by one of the founders of Ringling Brother’s Circus. 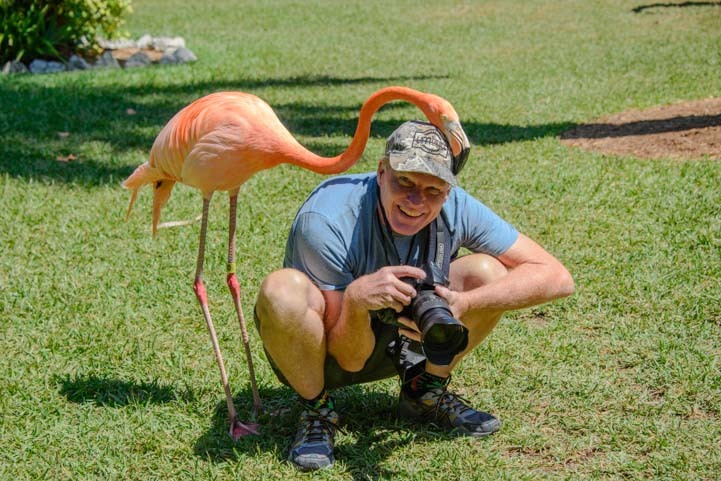 We also got friendly with flamingos at Jungle Gardens and even watched a pair of sandhill cranes hatch at a man-made pond by a strip mall in Sarasota. 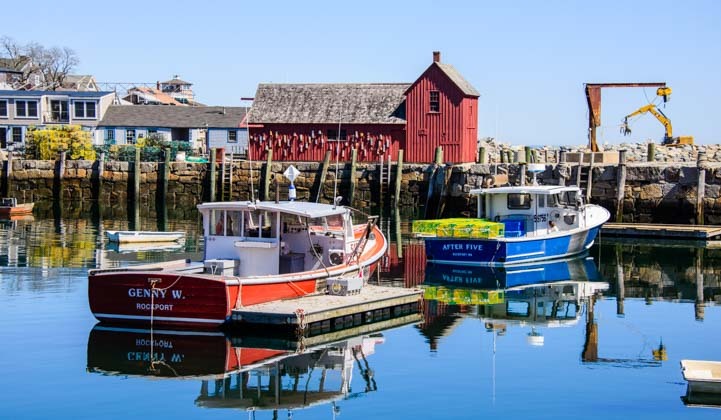 I flew to Massachusetts for a week and reveled in the delights of the seaside town of Rockport before we packed up the buggy in Florida and began our long trek to the northeastern states. 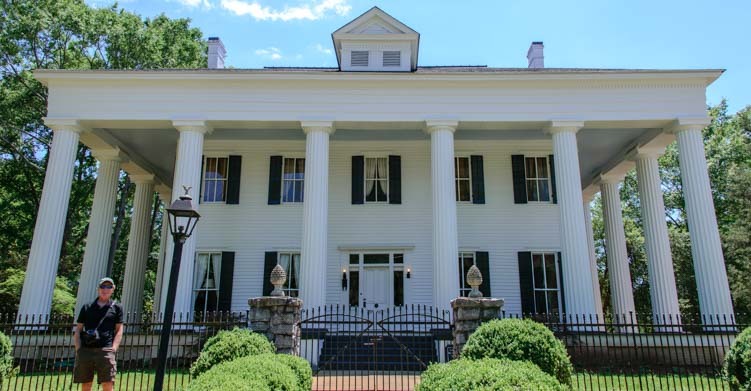 The antebellum mansions of Georgia were first on our list as we followed the Antebellum Trail across the state from south to north. Our travel theme in Georgia was antebellum mansions. Then we hit Great Smoky Mountains National Park in North Carolina where we saw elk, mountain vistas and Indians. We hopped on and off the Blue Ridge Parkway as we chased down the stunning wildflowers (rhododendrons!) and waterfalls that lie along this route. A little further north we found an incredible bicycle trail in Galax, Virginia. 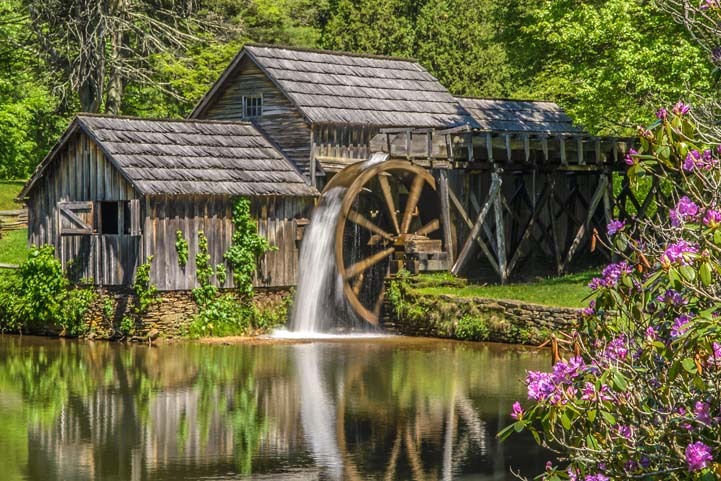 We loved the fabulous free bluegrass music jams in Floyd, Virginia, and enjoyed even more free jam sessions at the Blue Ridge Music Center which is situated very close to the picturesque Mabry Mill in southern Virginia. 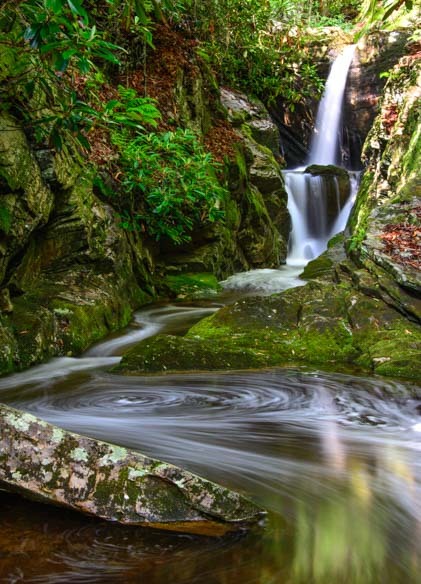 Chasing more waterfalls, wildflowers and rhododendrons in Virginia, we continued bee-bopping on and off the Blue Ridge Parkway as we headed north and climbed to the top of a precipice in Shenandoah National Park in Virginia. From northern Virginia, we faced a challenge as we took our big rig onto the tiny, congested roads of the northeast. Scampering through Pennsylvania and across the Catskills in New York (making a mental note to come back some day to visit at leisure), we dashed through Vermont and New Hampshire, landing at last at Narrows Too RV Resort just outside Acadia National Park in northern Maine. Acadia National Park was a true highlight in our summer travels. 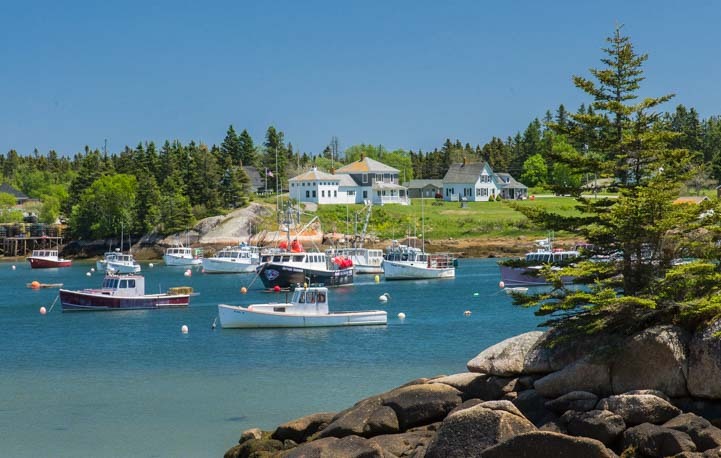 We drove the spectacular and little known Schoodic Scenic Byway past quintessential New England views of anchored lobster boats and other aquatic beauty. We also caught a glimpse of the more upscale side of the New England yachting scene with a fun factory tour at Hinckley Yachts. 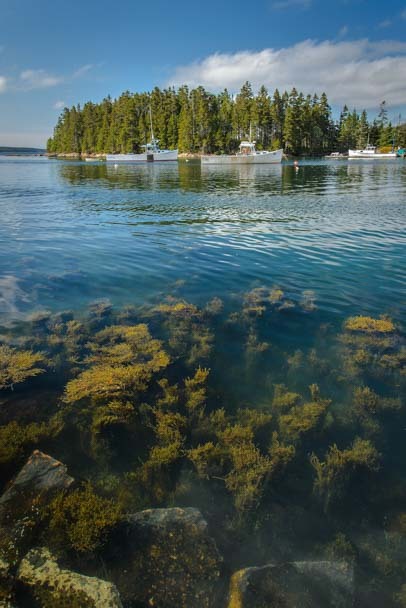 But it was Rockefeller’s sweet Carriage Roads throughout Acadia National Park and the utterly charming mail boat ferry ride we took to Maine’s Cranberry Islands that made us fall in love with the area. 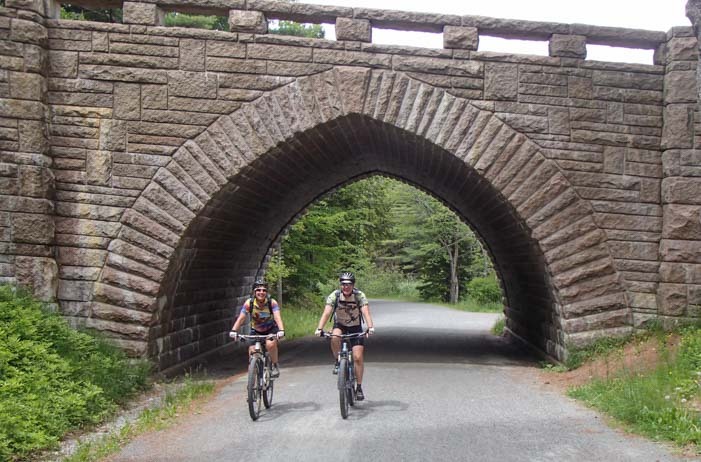 The Carriage Roads in Acadia National Park – A gift to all of us from John D. Rockefeller, Jr. 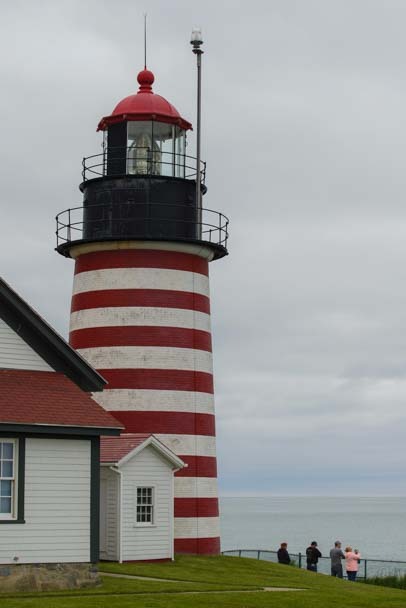 Taking our RV further downeast, we were delighted by a series of lighthouse sightings, first the candy-striped West Quoddy Head lighthouse and then the red crossed East Quoddy Head lighthouse at Lubec (Maine) and Campobello Island (Canada). 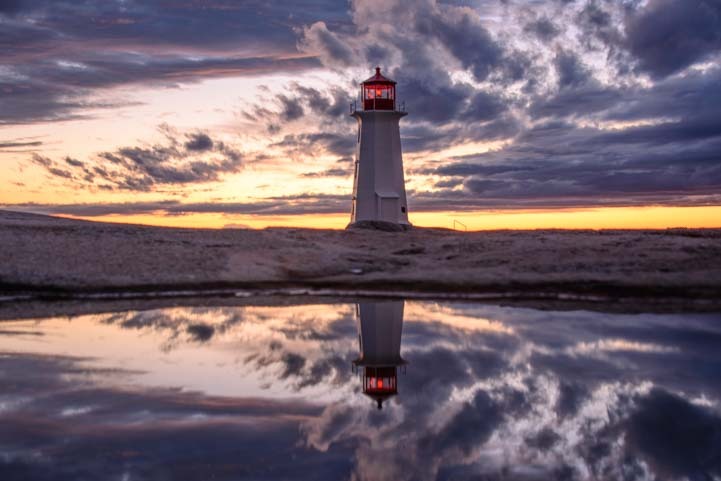 These lighthouses were just a warm up for the incredible evening we experienced after we crossed the border for real into Nova Scotia and watched the setting sun play upon the Peggy’s Cove Lighthouse in south-central Nova Scotia. 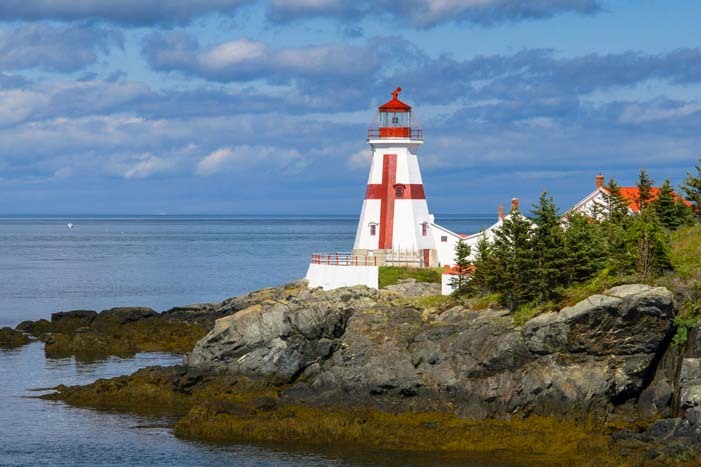 The visual wonders kept us in awe throughout our stay in Nova Scotia, first at Lunenburg and Mahone Bay on the southern coast, then on the Northumberland Shore on the north coast. 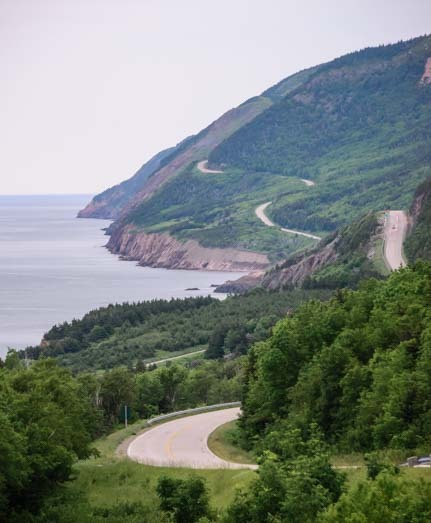 The Cabot Trail around Cape Breton Island had a rugged beauty all its own. At this point, in early July, we turned around and began the long journey back south and west. 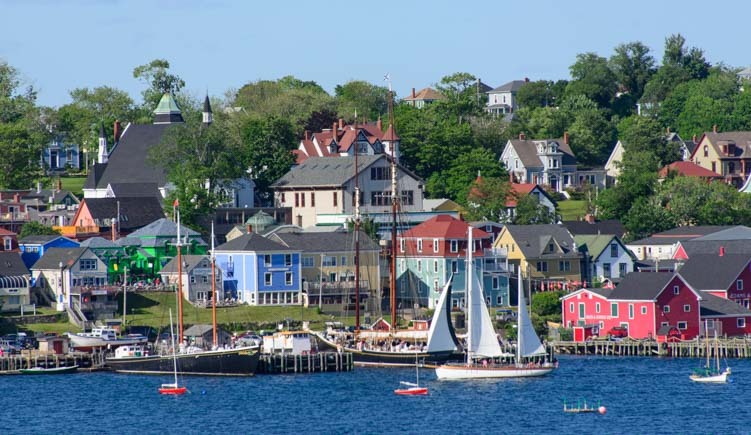 Our first stop was cute (and remote) Eastport, Maine, followed by the fun town of Bangor where we spent precious time with very special friends. While we were in Bangor, we underwent the first major repair of the year when we got our trailer’s rear axle replaced. 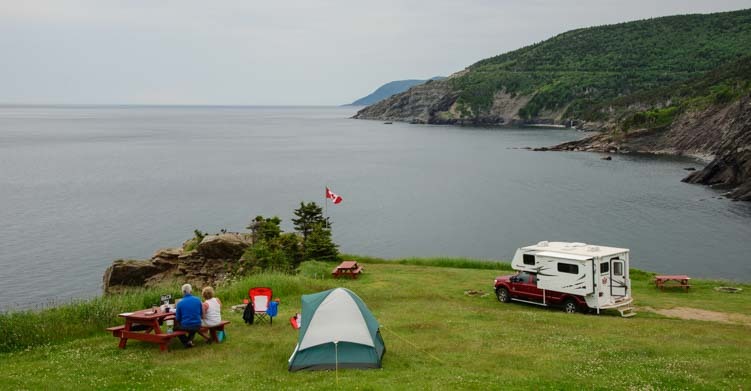 The original axle had been bent by the bad roads in Nova Scotia, and we were extremely grateful that our newly minted RV warranty came to the rescue. The service team at Harvey RVs in Bangor Maine did an outstanding job replacing our rear trailer axle. From Maine, we zipped west to the White Mountains in New Hampshire where we summitted Mt. Washington, the tallest peak in the northeast. 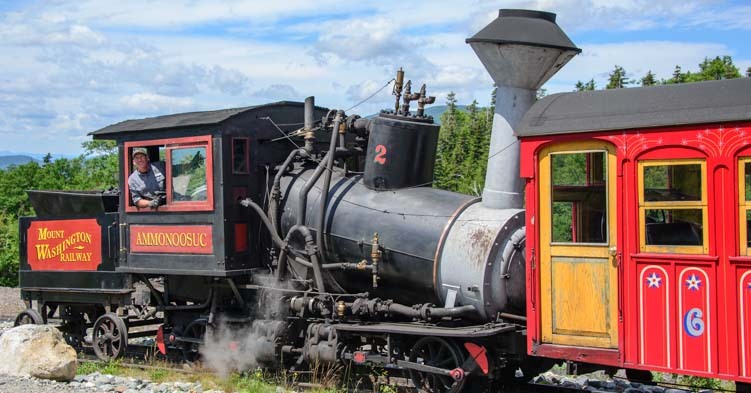 We did it the easy way by taking The Cog Railway. 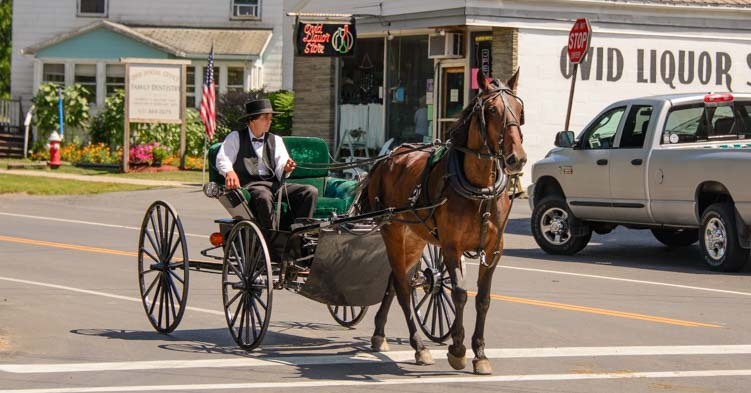 Traveling west from there we had some special encounters with the Amish in upstate New York’s Finger Lakes region where we watched a unique Amish farm auction. 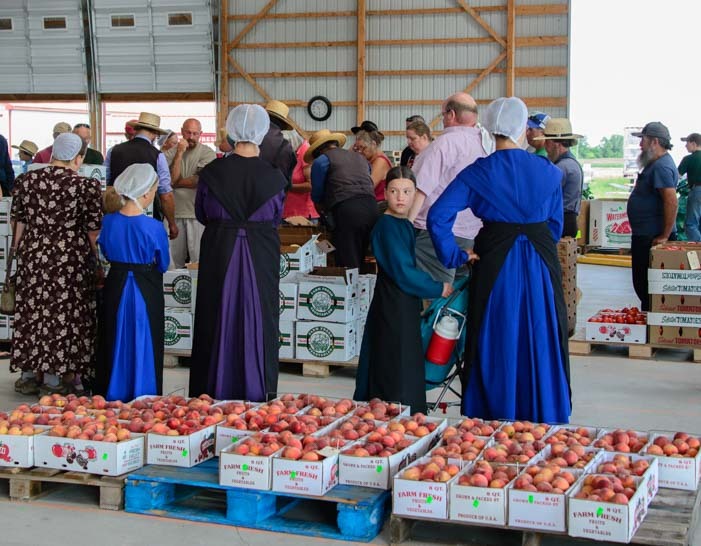 The farmer’s produce auction – a glimipse of another era. 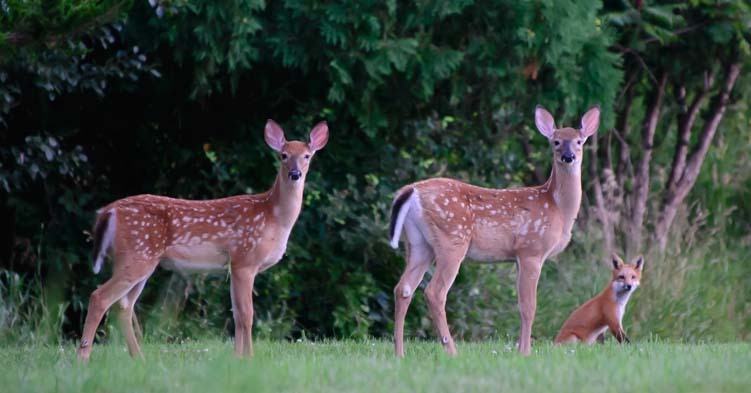 The rural countryside of the Finger Lakes was lovely, and we were just delighted when a pair of fawns and a fox paused at the edge of the woods to check us out. The New York Finger Lakes have their wild side! 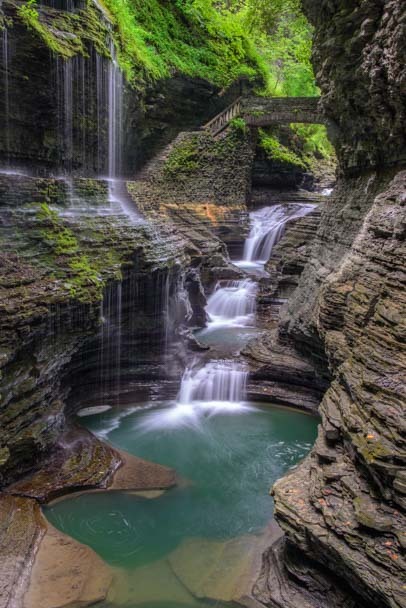 A rainy daytrip to exquisite Watkins Glen State Park proved to be an ideal way to see this jewel, as the overcast light and flowing waterfalls were perfect for taking photos. The waterfalls at Watkins Glenn blew us away. 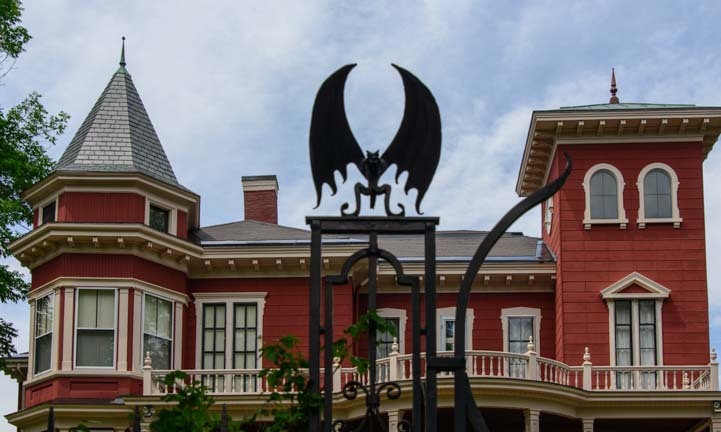 From the Finger Lakes, we dropped south along the Ohio River until we spotted a pretty town on the far shore that turned out to be the unusual and historic town of Maysville, Kentucky. 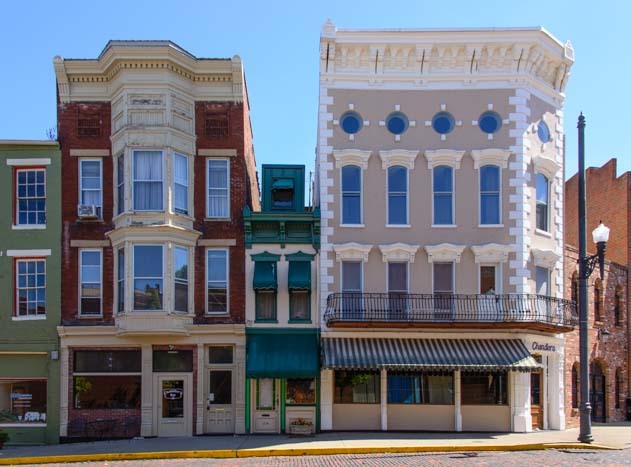 From the brick streets to the wonderful old buildings to the towering flood wall that holds back the Ohio River when it swells to threatening heights, we were enchanted by Maysville, Kentucky. 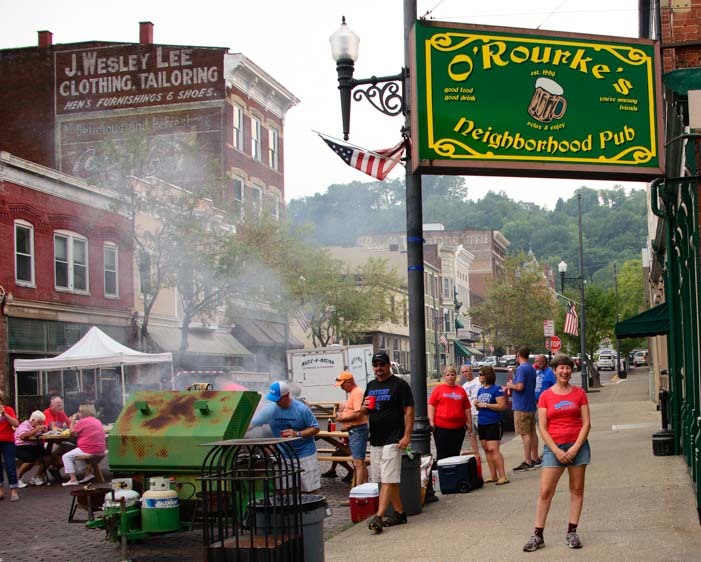 In Maysville, Kentucky, everyone loves to gather in the streets, especially outside O’Rourke’s Pub! A stop for a beer at O’Rourke’s Pub introduced us to a warm community of newfound friends who went out of their way to make us feel welcome and special in their town. 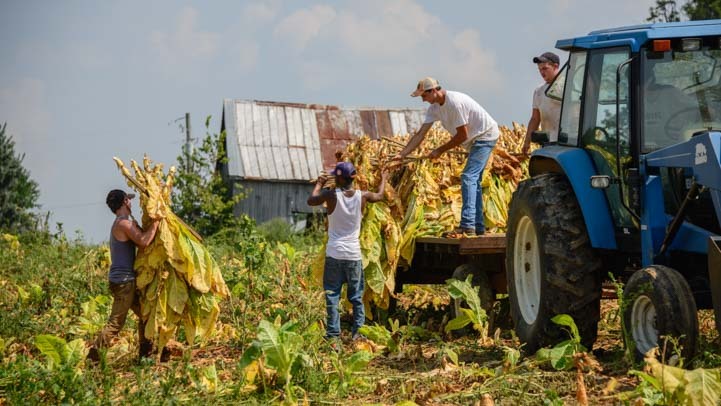 We toured tobacco farms, ran local running races, saw a fabulous car show, enjoyed free music concerts, learned about Freemasons, checked out the historic village of Washington and even met the Mayor. To our utter astonishment, all this fun we were having landed us on the front page of the local newspaper! 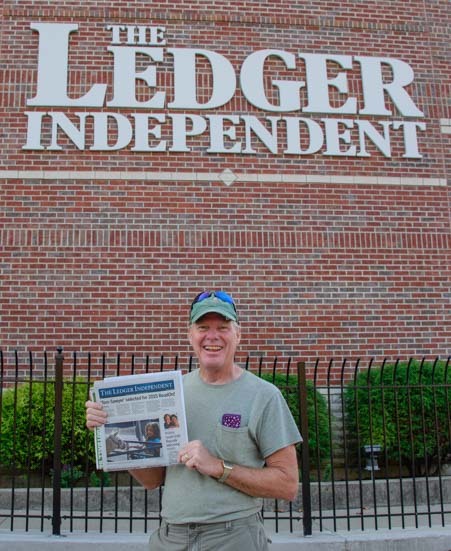 We were shocked and touched when the local newspaper published a story about us on their front page. This was a glorious introduction to Kentucky, and we had high hopes of seeing more of the state and to swing through Tennessee as well, but our refrigerator died and the closest place that could do a quick repair was in Indianapolis. So, off we went to get a new RV fridge. Again, thank goodness for that RV warranty, as this repair was covered too! Our refrigerator quit working, but some fast footwork got us back on the road quickly. With the beer sufficiently cold in our fridge once again, we headed to Missouri and visited the incomparable Spacecraft Manufacturing plant where luxurious, ultra rugged and fully custom fifth wheel trailers are designed and built. The great plains of Kansas gave us some great skies! Continuing west and south through Manhattan Kansas, we arrived in Humboldt, Kansas, just in time for their unique Biblesta celebration that unites the entire community as they share, retell and re-enact the stories of the Bible. 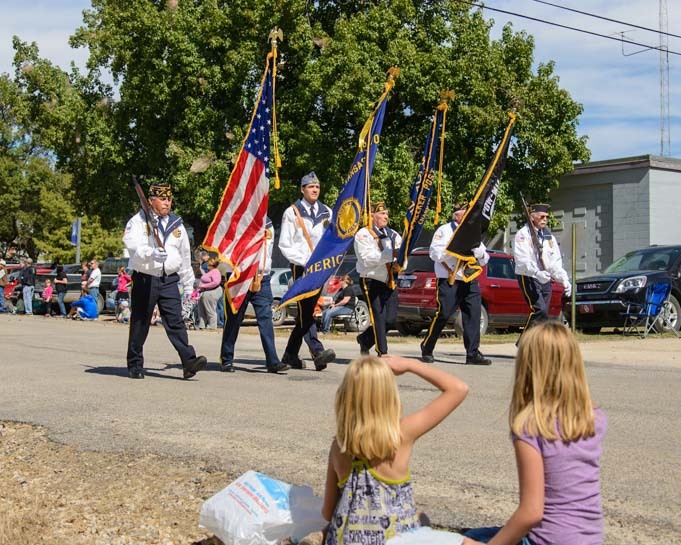 The Biblesta Bible celebration in Humboldt, Kansas, is one of a kind. This quiet celebration in rural Kansas and a fun fall festival in Welch, Oklahoma both took place not long before tragic world events unfolded in Paris, and it was a bittersweet moment when we reviewed our photos later and reflected on our memories of peaceful Paris, Texas, set against the ongoing chaos in its namesake City of Lights in France. Continuing west, we found a town full of unusual metal art in Tatum, New Mexico, saw a rock garden of aging missiles in White Sands, New Mexico, and discovered Nature’s unique stone artwork at the City of Rocks, New Mexico. 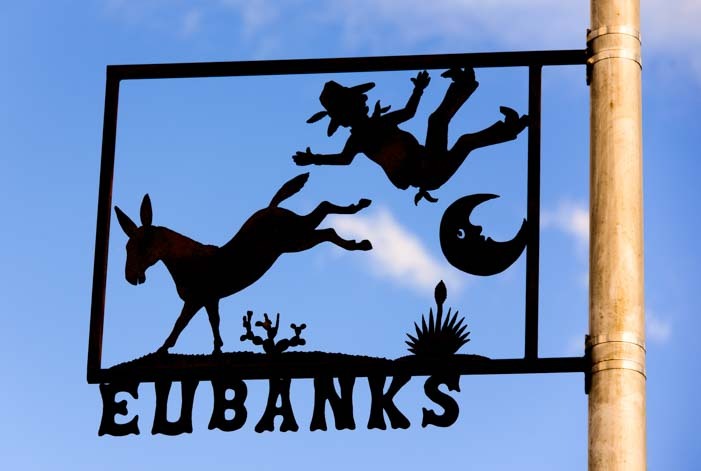 Tiny Tatum, New Mexico, is loaded with fun metal art by two extraordinary artisans. When we crossed the border into Arizona, we had come full circle, ending an extraordinary year of RV adventures on the road. Autumn was in full regalia and it felt wonderful to be “home” as we explored Mt. Graham, the area around Roosevelt Lake and the ancient Indian Ruins at Tonto National Monument. 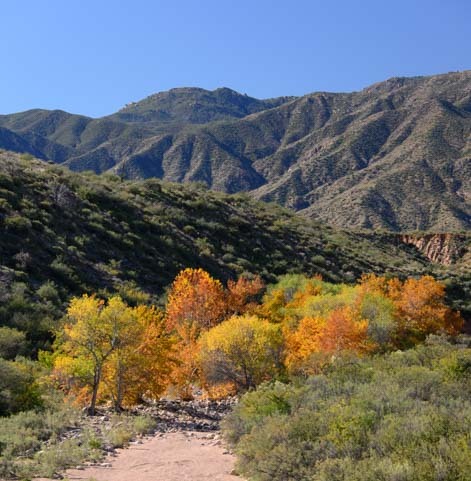 A late November return to Arizona brings us in during the peak of Autumn splendor. 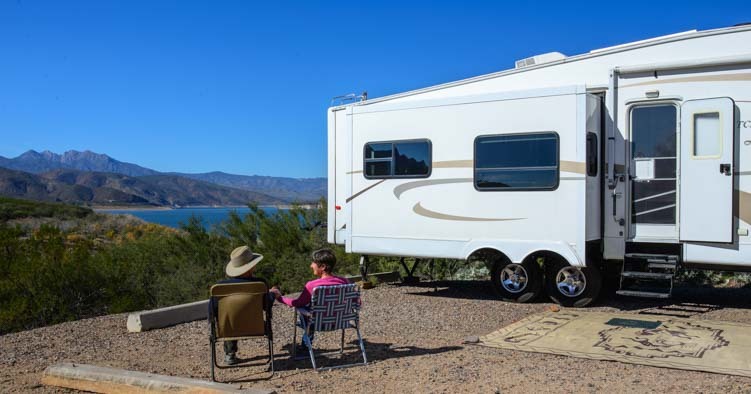 After arriving in Arizona, to our utter astonishment and chagrin, we had to turn to our RV warranty for a fourth time in as many months. We replaced our trailer’s entire suspension system (shocks, leaf springs and axle hangers) which had failed badly due, in part, to weak springs on our new trailer axle, and had left the coach’s tires nearly touching. I haven’t shared that story here — I just haven’t had the heart to write about another round of trailer repairs as of yet — but believe me, we sure were glad to have that warranty. This last repair brought us to a total of over $6,700 in repair reimbursements that were all covered by our $1,904 contract. 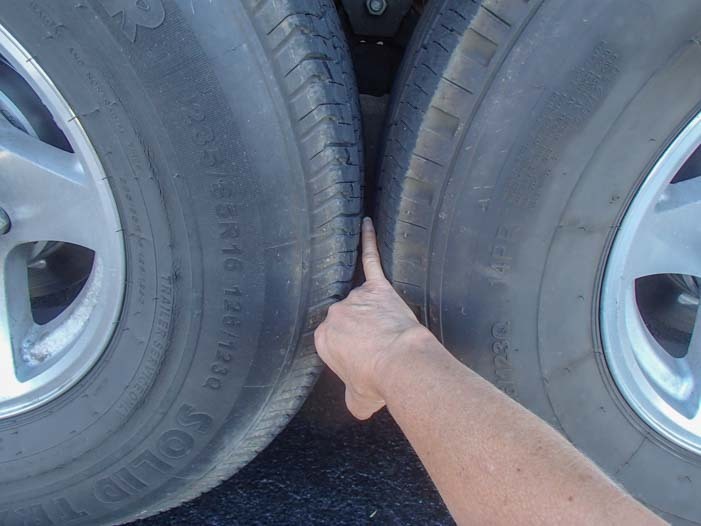 Our trailer suspension sagged so badly between Maine and Arizona that the tires almost touched. Repairs aside, as we look back on this magnificent year of travel, we feel truly blessed to be living this life, and we know just how fortunate we are. 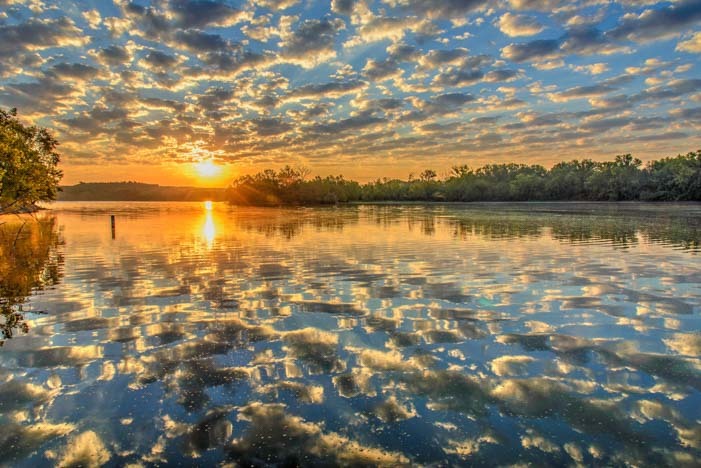 We feel grateful for and awed by every day that dawns. Throughout 2015, and in an all our years of RV and sailing travel, we have been the lucky recipients of many deeply fulfilling and truly life changing experiences. 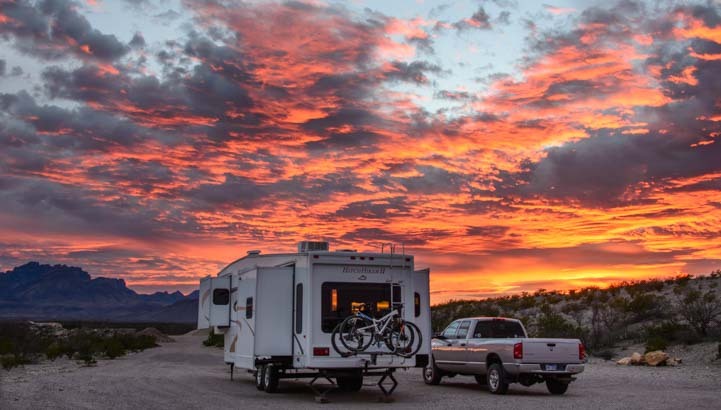 This memorable year of RV travel was very different from all of our prior years because we covered so much distance and were on the move for so long. We drove our truck a total of 19,837 miles, about half of which was towing our trailer. We stayed in 108 different locations, 50 of which were one night stands and only three of which lasted 3 weeks or longer. An Overview of Our First 10 Years of Full-time Travel + Reflections after 9 Years! 10 Years of RVing and Sailing Full-time - The Early Years! - Running away in an RV, then broadening our horizons on a sailboat. 10 Years of Living on the Road - 2nd Half! - Fulfilling all our cruising dreams and then returning to full-time RVing! 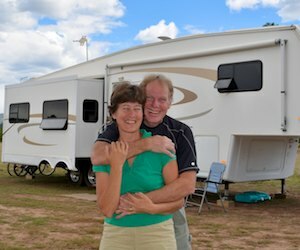 9th Anniversary of RVing and Sailing Full-time - Reflections on how we started and what the first few months were like. 2007-2012 - Years of Discovery and Exploration by RV and Sailboat - WOW! We're FREE! 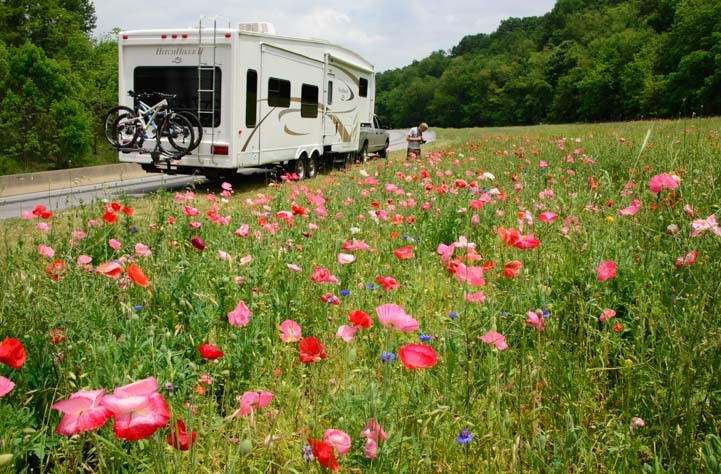 2014 - A Year of Beauty in our RV - Back to full-time RVing...What a rush! 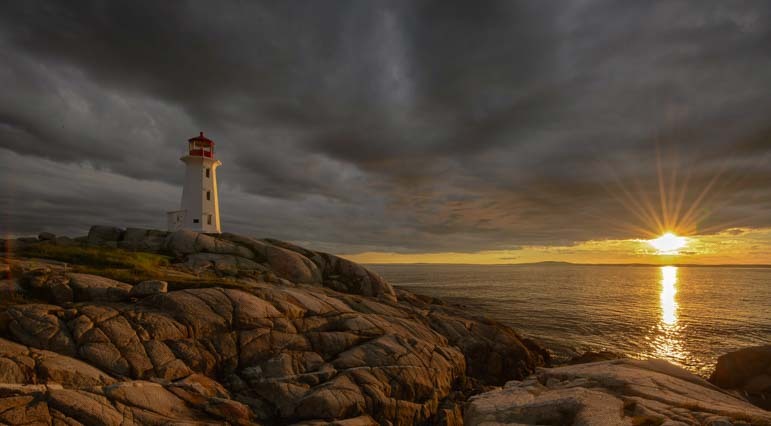 2015 - A Thrilling RV Journey East - From Arizona to Florida to Nova Scotia and back! 2016 - A Year of RVing the National Parks in America and Canada - Park to Park to the Canadian Rockies. SPECTACULAR! 2017 - RVing the West + Flying to Thailand, Cambodia & Paris! - What a fulfilling whirlwind! 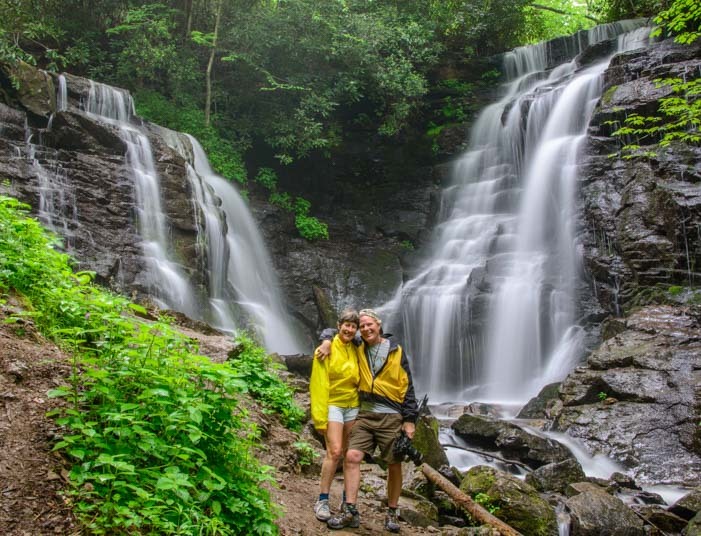 This entry was posted in The Full-time RVing & Cruising Lifestyles and tagged Annual Travel Summary, Full-time RV Lifestyle, New, Travel, WP Travel by Roads Less Traveled. Bookmark the permalink. What a year you have had! Thanks for the photographic journey! Wishing you a healthy, happy and adventurous 2016! Thank you, Lisa. Happy trails in 2016 to you and Hans too! What a terrific, adventure-filled, and colorful year! As you said, we are deeply grateful that we’re able to travel full-time, and are aware of just how fortunate we are. It’s a wonderful life! Wishing you happy and safe and joyful travels in 2016! Yes! And happy 2016 travels to you too, Laurel!